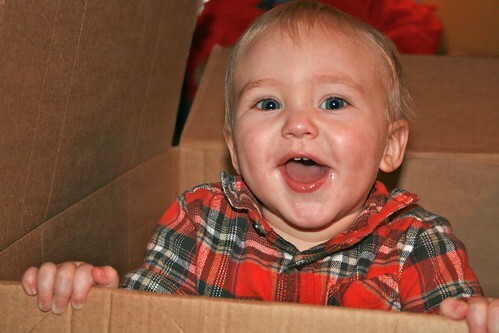 It is so hard to believe that a year ago, Jack was just a tiny little newborn peanut. (Our nicknames for him are “Peanut Butter” and “Cha-cha.”) Then, I just remember being so thankful that I wasn’t pregnant anymore and wondering what kind of kid that little bundle would turn out to be. Turns out, he’s a really great little man! 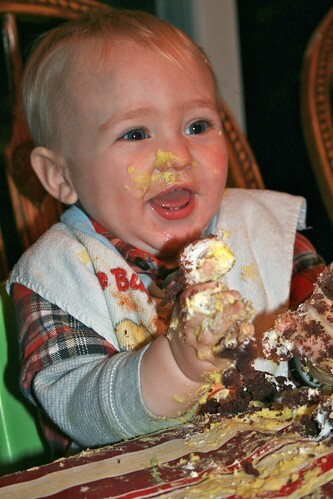 Here he is with his first taste of fantastic birthday cake (with way too much frosting). I think he liked it. Well, it was shaped like a giant truck, so of course he liked it. 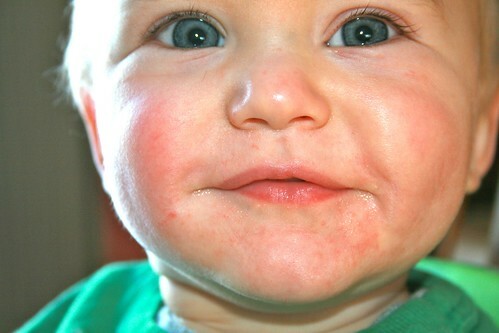 His 1-year-old doctor’s visit went well and he was pronounced to be a healthy boy. He is a long, skinny guy. 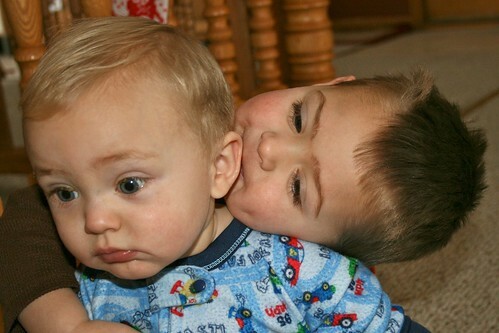 Jack is generally very mellow and is content to play by himself or alongside Caleb. He generally goes with the flow no matter where we are or what is going on. 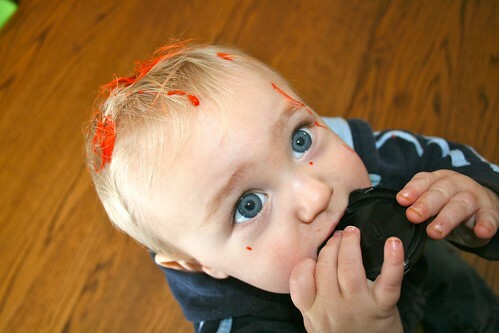 Unless, of course, he is teething. He currently has 6 teeth. The top two lateral incisors cut through on November 23rd at Grandpa and Grandma Lewis’ house. Both within 10 minutes of each other! Boy was he mad. He is currently cutting two more, hopefully they will come out soon so we can all get some sleep around here! Jack’s favorite things are airplanes, cars, dogs, and horses. He speaks about these and knows which books contains them. He also loves music and will dance and point to the speakers when music is playing. He will even “sing” certain songs along with you and knows some simple dance moves. Jack is trying hard to communicate. He can sign for all done, airplane, dog, fan, and light. He knows the sounds made by an airplane, car, tractor, cat, dog, and horse. He knows how to say mama, dada, and Ella. He also is starting to point at things in effort to get you to talk about them, which we do often. He can sing the “la la la la Ella” song and does so very adorably. He also loves the “Wiggle Wiggle Go” song and “Skinna Ma Rink a Dink” and will do the actions for them. I have tried so many times to get the cute things he does on video, but all I have ended up with is 30+ minutes of him staring at the camera. Unlike his brother, Jack will not perform on command. I guess that’s how they were destined to be. Caleb, the performer, and Jack, the adoring fan. Of course, he is now climbing absolutely everything. We got another step stool so he can stand up at the counter when I’m working in the kitchen. He can climb on the coffee table and on couches and chairs. He will pretty much shock you with his climbing ability, actually. He climbs up the little slide I have downstairs and slides down it face first (! ), which he thinks is awesome. 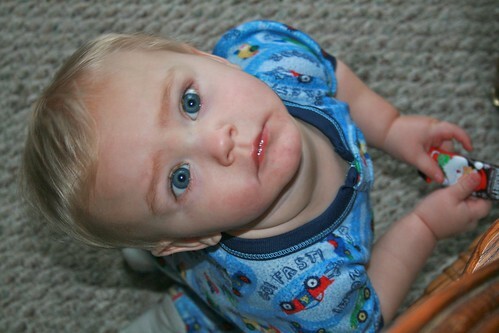 In terms of walking, he has been able to stand alone and take one step before giving up and being fine with crawling. He does, however, like to push his walk-along toy around the house and walk by holding onto my fingers. Oh, and favorite book? Hands down it is Brown Bear, Brown Bear, What Do You See? . He knows almost all of the animal sounds and especially loves impersonating the goldfish under water by rubbing his fist across his lips while making sounds. Pretty funny. I almost forgot Jack’s other favorite book, Go, Dog. Go! . I mean, it’s about dogs and cars. He trills his lips (car sound) and woofs through the whole thing and even “reads” it on his own. It’s funny because I got this book for Caleb and he never liked it. But Jack, oh, dogs and cars totally speak to him! Our wonderful Jack, we pray that you will grow deep roots that find a river of God’s amazing love, power, and goodness to drink from. We pray that you will put all of your trust in God for all of the days of your life. We hope we can celebrate our God together with you for all of eternity! Thank you for one year of seeing you blossom.